Summary: Social injustice is a sin but it’s also a symptom — an unmistakable witness to mankind’s sinful, fallen nature. The wicked practices that Amos decries testify against a people who make themselves into objects of worship, who judge themselves better than others. We may not spend the Lord’s Day actively planning to cheat others, to achieve wrongful gain at others’ expense, to create and use crooked measures in order to bilk the unwary. However, we do often give only cursory attention to the preaching of the Lord’s Word and the reception of the Lord’s Supper, preferring to zip into church, get pepped up, and dash out in an hour or less. By nature, we are out of balance. And if we approach God’s judgment thinking that we will save ourselves, we’ll find the balance weighted more against us than we would have seen in Israel’s most dishonest scales. Yet God addresses — and redresses — the imbalance. He piled the weight of our sin on Jesus, blaming, condemning, and killing Him because of our evil. 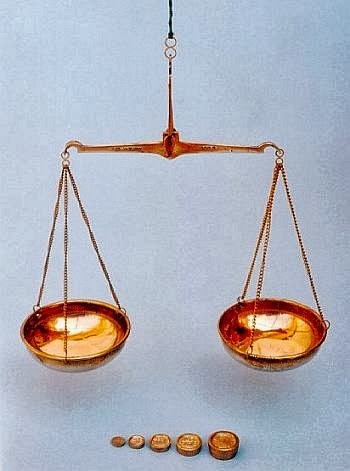 He balanced His scales of justice by bringing unjust condemnation upon His Son and then brings us into balance and harmony by gifting us with Christ’s righteousness. 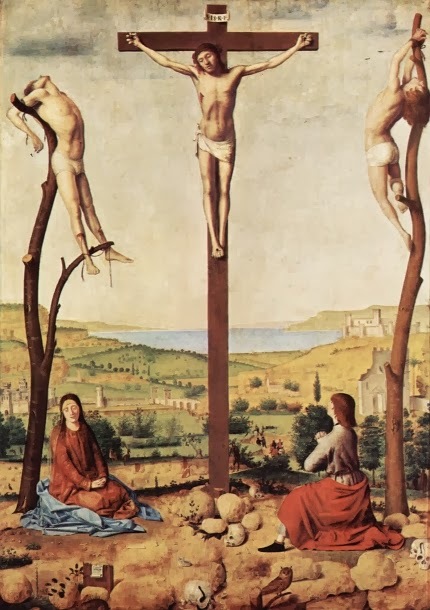 Note that while the assigned Old Testament reading only went through verse 7, I also referenced verses 8-10 as I preached the Gospel because of their strong connection to Jesus’ suffering and death on Golgotha. The Lord has sworn by the pride of Jacob: “Surely I will never forget any of their deeds. Shall not the land tremble on this account, and everyone mourn who dwells in it, and all of it rise like the Nile, and be tossed about and sink again, like the Nile of Egypt? Audio: Click to hear the MP3 of Back in Balance, preached to the saints at St. John’s Lutheran Church, Farley, Missouri.